Patients who spend long stretches of time in bed will require the use of a high specification foam mattress to reduce their risk of bedsore development, but many of these lack the stability for comfortable long-term use. 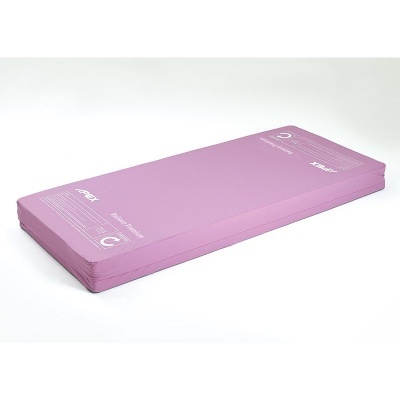 The Apex Relievo Premium Pressure Reduction Mattress is a full thickness castellated foam mattress that features side bolsters to provide stability during use, helping to ensure safety when the patient enters and leaves the bed. 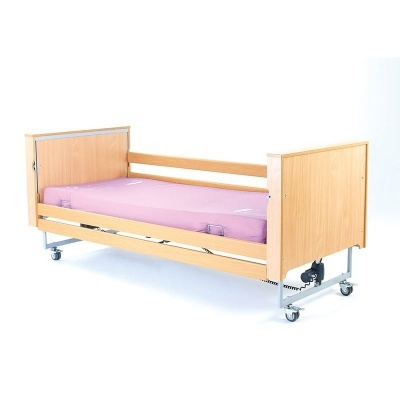 Suitable for use with four-section profiling and divan-style beds, this mattress is suitable for use by patients at medium risk of pressure sore development. This mattress is available in two widths to suit different styles of bed. Select your desired size using the drop-down menu above. 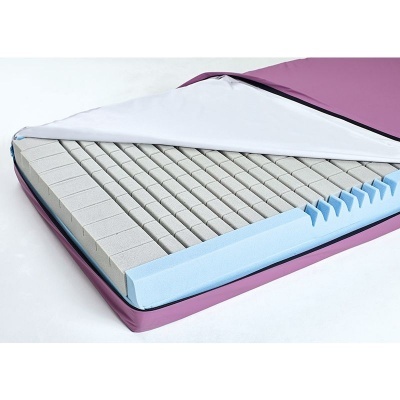 This full thickness mattress is made of high specification castellated foam, which is ideal for users requiring a high level of support from their mattress. 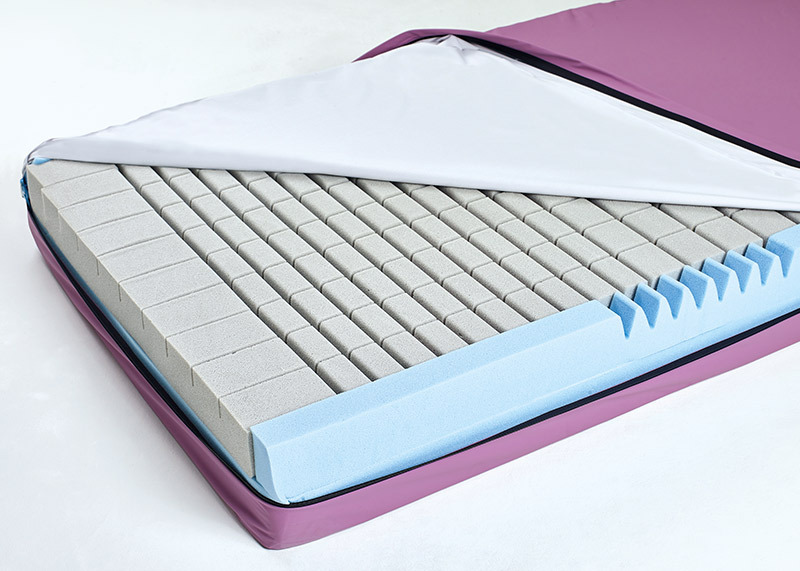 The foam castellation allows each section of the mattress to move with the patient, helping to reduce the friction and shear forces that can exacerbate pressure sore risk. As seen in the graphic above, the castellated foam of this mattress is reinforced by dense foam side bolsters, helping to provide added stability for the user. This is especially important to aid with patient ingress and egress from the mattress, providing the necessary stability for safe and efficient side transfers. 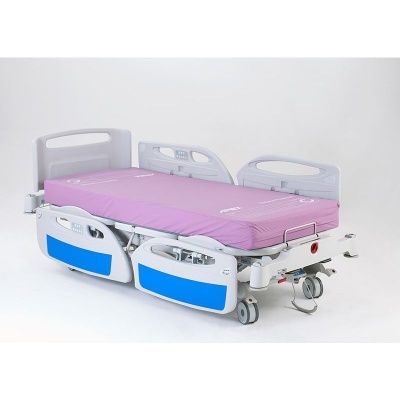 This mattress is fully equipped for use in acute hospital environments, and is suitable for use with four-section profiling beds as well as divan-style beds. Fire tested to Crib 5, it is supplied complete with an ingress-resistant cover to prevent cross-contamination while controlling infection risk. The vapour-permeable four-way stretch cover that is supplied with this mattress is designed for protection, comfort and infection control. It features high frequency welded seams to prevent fluid ingress, and is impregnated with an antimicrobial agent within the fabric coating. Resistant to bacteria including MRSA and fungal growth, this mattress also includes a white, non-slip base for easy detection of strike-though and contamination.